Enjoying an acting career that began in 1908 and lasted 43 years through 1951, Edward J. (John) Peil is one of those legendary character players recognizable in dozens of westerns and serials. His father, John H. Peil, was born in Germany in 1837. A shoe shop employee and mason, he immigrated to the U.S. in 1843, settling in Racine, WI, in 1850. Married in 1860 to Elizabeth Tetard of Illinois (1842-1920), the couple gave birth to a large family, including Edward on January 18, 1882. By 1900, Edward was an apprentice druggist in Racine but had gotten into theatre work in Chicago by 1908 with his wife Henriette (Etta) Raynor of Connecticut, born in 1884. He also made some early films for the Philadelphia based Lubin Company. The couple had two children, Charles Edward (1907-1962), a minor actor also known as Johnny Jones, and Virginia (born in 1916). Before turning to acting Peil found time to attend Notre Dame College. A barnstormer of the old school, the 5' 10½" Edward J. Peil supported some of the top actresses of the day in road companies and theatrical classics. The brown haired, hazel eyed Peil began working in motion pictures in Hollywood in 1913, coming into his own with D. W. Griffith who cast him as Evil Eye in “Broken Blossoms” in 1919. More villains filled his repertory in silent films but not necessarily westerns, although there were several among his 90 plus silents, such as “Tom Mix in Arabia” (‘22), “Lone Star Ranger” (‘23), “Iron Horse” (‘24), “Teeth” (‘24) and “The Great K&A Train Robbery” (‘26). Now 48 when sound came in, Peil increasingly began playing gentleman ranchers, heroine’s fathers and lawmen, carving out a whole new career as a B-western/serial character actor. 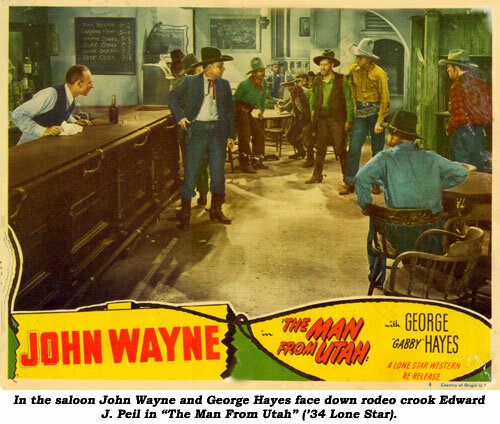 According to historian Les Adams, Peil made a total of 104 sound westerns. 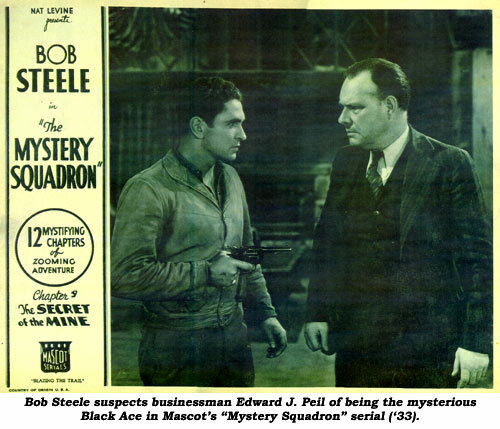 He also had roles in at least 19 serials including “Sign of the Wolf” (‘31), “Mystery Squadron” (‘33), “Phantom Empire” (‘35) and “The Shadow” (‘40). 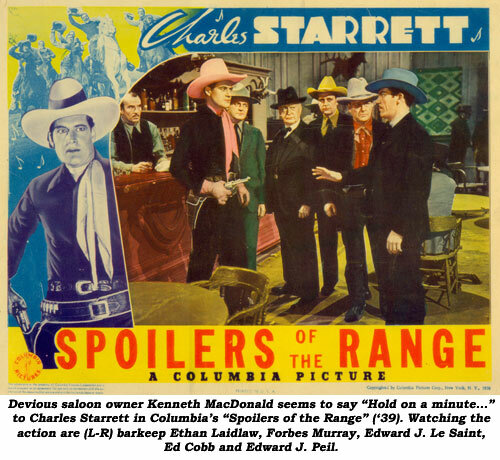 In westerns Peil worked a great deal with Buck Jones, Hoot Gibson, John Wayne, Tim McCoy, Charles Starrett, George Houston, and The Range Busters, among others. His most villainous roles came in “The Avenger” with Buck Jones (‘31), “Blue Steel” and “Man From Utah” with John Wayne (both ‘34) and “Come on Cowboys” with 3 Mesquiteers (‘37).